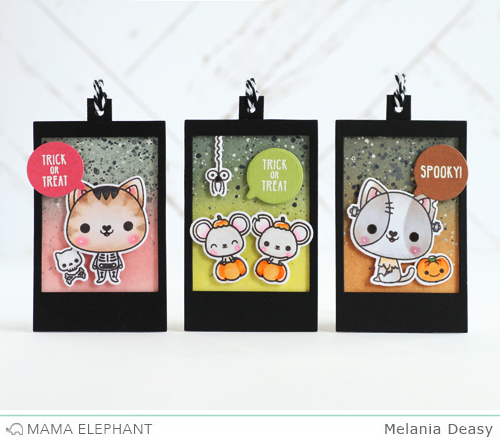 mama elephant | design blog: Amazing Meowlloween Projects from Melania Deasy!!! 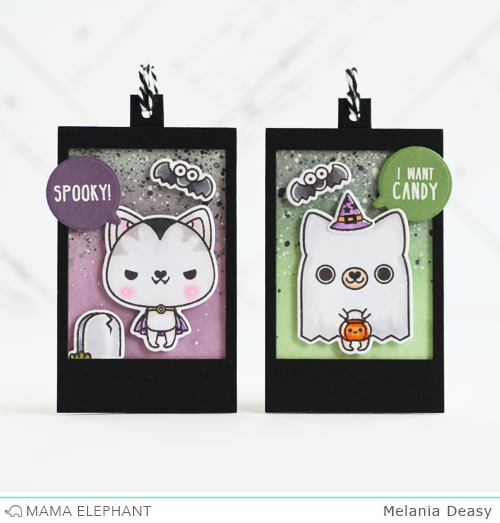 Amazing Meowlloween Projects from Melania Deasy!!! 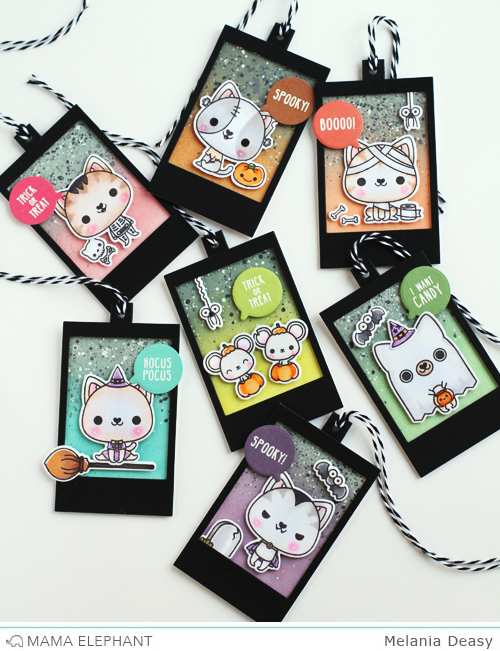 Today I want to share my tags with many different scenes using Meowlloween and Meowlloween Extras. 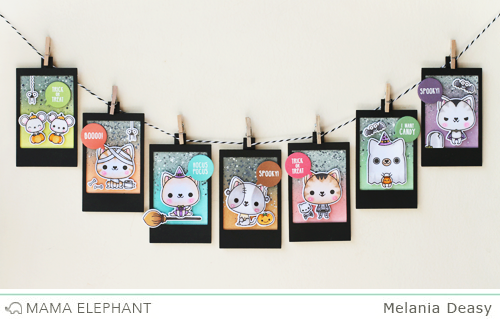 I also used Instalove and Tags a Lot Creative Cuts for the tags. This tags is so easy to make. It's also perfect for gift bags and you can make it as banner too. I made the background with Dye Ink Pad and blending tool, then I splash watercolor with my brush. I coloring the images using COPIC and the sentiment is from white embossing powder on colorful card stock. These are absolutely DARLING!!!! Fantastic job! Very cute! Love them all!! I have to agree with all the other comments. My first thought was adorable! This is the cutest thing I have seen all year!! I LOVE IT! Beautiful! Very colorful, thanks for sharing. WOW! Love your tags. Design and colors are perfect.